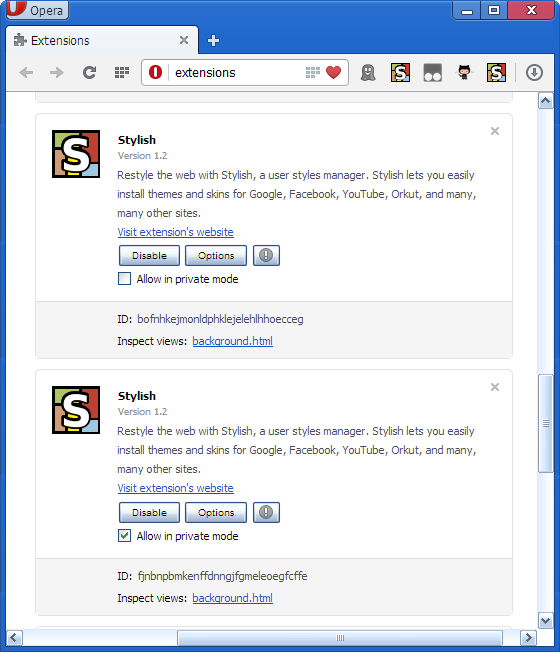 New styles have a URL of "undefined"
You can't copy Stylish database from old Opera to the new one, but you can copy Stylish database from Chrome to new Opera. cause Opera 15 it's based in "Chromium" project. It's a maked up Chrome basically. Merged and uploaded to new version to the same URL. Thanks. Released for Opera and Chrome.